After a brief intermission for morning tea, Everyone took their seats and the Plenary continued. The first speaker to the podium to resume the conference was Rob Cover, Associate professor at UWA. He completed his PhD in media theory and queer theory at Monash University. He addressed issues such as fake news and how the circulation of fake news has arised as a result of pressure on journalists to provide content and therefore neglect fact checking. The increasing polarization of media outlets is at the center of fake news in that it promotes the idea of “subjective truths” and that the flexibility of facts. Using the current trend of reporting on “African Gangs” in Melbourne as an example, he illustrated how fake news is sometimes crafted to reinforce a negative stereotype. The impact of these types of negative fake news stories can spread to migrant communities. Our next speaker to the podium was Tibor Meszaros, Community Television Broacaster and Manager. Tibor has been in community broadcasting since 1982 and has spent time in both the community radio and tv sectors. Spending a large percentage of his career in community television, Tibor spoke of the struggle people in the sector face in regards to financial support and licensing. He then moved to discuss the integration of the digital sector with community broadcasters and the potential risks with migrating to digital media applications. More specifically he warned of the idea that utilizing new technologies to create content can face financial difficulties. He rounded of his speech discussing the future of community television and the importance of reporting truths in community media organisations. Jim Remedio was our third and final speaker to take the podium before the conference broke for lunch. Jim was chairman of the peak body the National Indigenous Media Association of Australia (NIMAA). “We need to ask ourselves whether we are going to be a better country after this Plenary”. 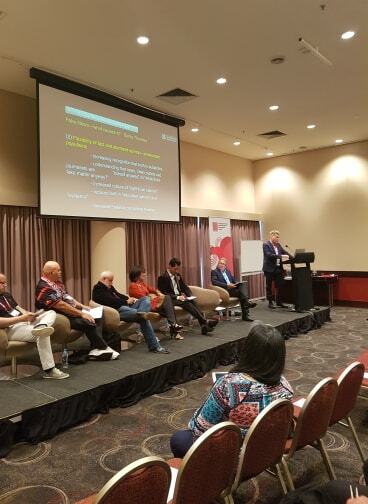 Jim posed this question at the beginning of his speech and began by talking about the conferences main theme Shaping Media Diversity in relation to the indigenous community. He touched on many issues facing indigenous media organisations such as one he is involved with, QRAM. QRAM is a remote indigenous media organisation that he stated had received no formal funding and was completely funded by the people involved. 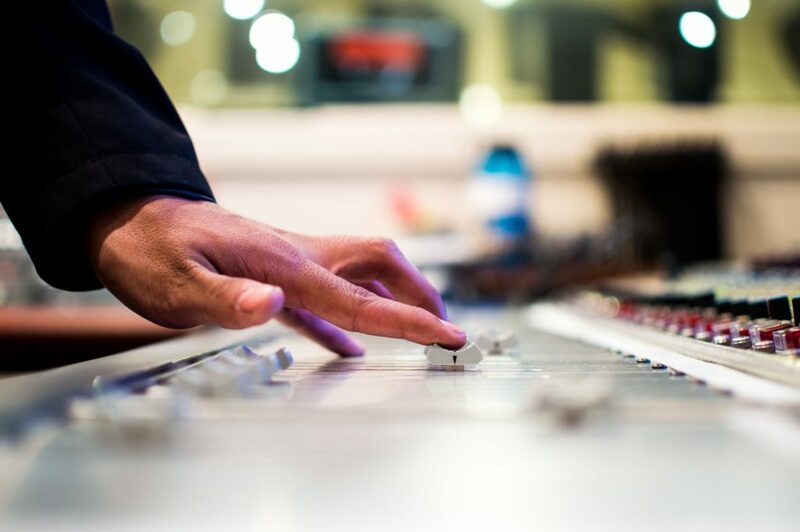 QRAM provides a variety of services including Black Star Radio, training, 24 hour news and much more. “Empowerment for a lot of our people, is just to work”. Jim made many compelling points throughout his speech about the current issues facing indigenous media organisations and capped of his speech highlighting some of the great things coming out of QRAM, including a new Black Star App that is available now in the App Store. If you missed any of the conference, you can watch the speeches here. Today’s proceedings started well, with a healthy dose of dad jokes, as well as a warning of the recurrence of aforementioned dad jokes. We acknowledged the traditional owners of this land, and everyone was encouraged to engage in the upcoming exchange and dialogue, an invitation extended to peoples from all corners of Australia. 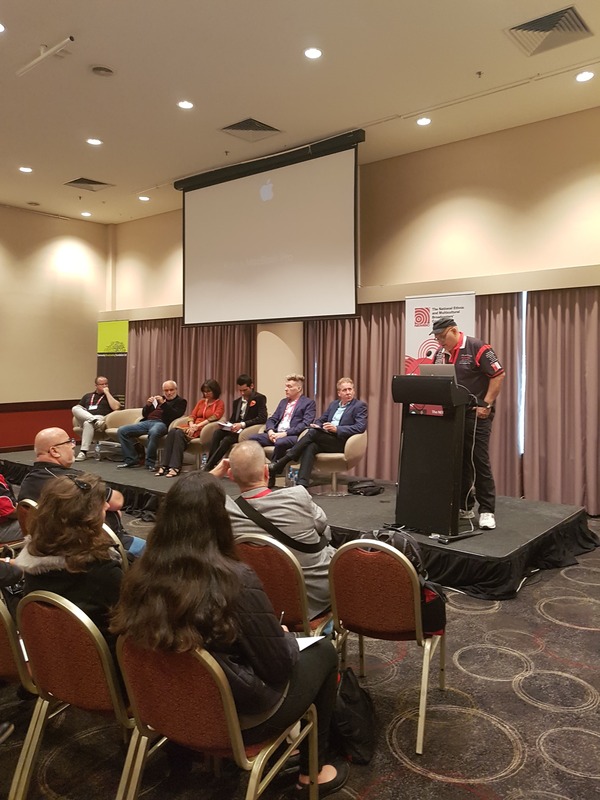 Rather than anticipating a keynote speaker, we were promised a plethora of experts from different areas of the broadcast industry, offering multiple forms of insight and advice. Included in the initial speeches came Associate Professor Farida Fozdar, who provided the initial analysis of multiculturalism and the cohesion of the nation-state in the face of othering, bigotry, and media representation of ethnic communities and persons. The alternative presented through political satire in the form of comic strips, and other alternative voices providing dialogue, social activism, trans nationalism, and creativity. Associate Professor Fozdar proposes the Proposed Linkage project to increase social cohesion and promote community media in a newly formed ‘imagined community’. Next we had a speech from Mr Waqas Durrani, who spoke to us about media diversity and the importance of community radio as an alternative to mainstream media and cultural diversity and representation of different ethnic communities. Mr Durrani encourages us to build relationships and start conversations, and to face our fears and question our labels that restrict and confine us. He spoke of the future of youth programming, and the importance of multiculturalism and diversity in the future of broadcasting. Ethnic broadcasting was celebrated as the means to prosperity for our youth and our nation, and the need for youth to maintain their ethnic identities. With two excellent speeches down and a series of audience questions answered, ethnic community broadcaster Maximo Perez-Torres took the stage, explaining the driving forces of community radio; passion, community, and ourselves. Representing over 150 different communities, Maximo stresses the importance of commitment to others and oneself. He reminds us of our shared passion for volunteers, and his own passion for sports, as well as the professionalism we uphold and aim towards on a continual basis. 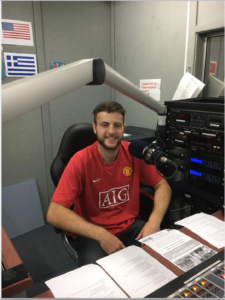 Using his own understanding and passion for sports, Maximo presents to us a link between community radio and team sports; a sense of being a part of a team, of being competitive, and working together. He then showed us a wide variety of photographs and details of community broadcast accomplishments in sports coverage, as well as the benefits of it. He charges us to keep dreaming without limits as community radio broadcasters. Introducing Jeffery – eChamps 2018! Hello, my name is Jeffery and I am from Canberra. I am a landscaper by trade and that keeps me busy most of my time. Been broadcasting with the CMS radio for about two years with the Pacific Islands youth radio program which runs an hour from every Thursday’s at CMS. Our radio program covers all range of topics and the current events of the day and been going strong. I’m Alice Foote your red-headed Aussie. I am currently studying a Bachelor of Biomedical Science with a double major in Radio at Murdoch University. I may have my eye on the microscope, but I love to be the voice behind the microphone. My love for radio is only getting stronger. I am one of the presenters and producers on “Tickles with Gigi and Alice” that takes over the Radio Fremantle airwaves every Wednesday from 1pm to 3pm on 107.9 fm. I love speaking with talented artists about their passion and finding out their little known backstories. I am looking forward to being an eChamp so I can contribute in this years NEMBC conference and improving my skills to become a better journalist and representative for women in media. My name is Geraldine Alphonse but I would love it if you call me Gigi. I recently graduated from a Bachelor in Journalism and Radio at Murdoch University. Curiosity is what drives my passion behind media. 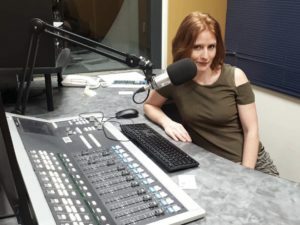 As a woman in community broadcast, I have a big privilege and responsibility for the community and I enjoy being the voice for those who can’t. 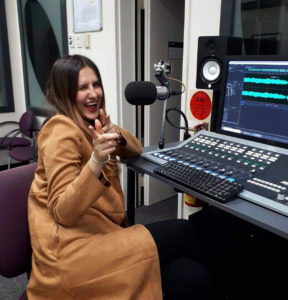 I have my own radio show every Wednesday from 1pm to 3pm on Radio Fremantle 107.9 Fm in Perth called “Tickles with Gigi and Alice” and it has become one of the best experiences of my life. From meeting and supporting awesome people in the world of music and arts, to finding the most unusual and intriguing stories around the world. I am also a a regular assistant producer for “Artbeat” on RTR FM 92.1 on Fridays and this has helped me build my network and leadership skills. This year I get to be an eChamp for the NEMBC 2018 conference in Perth and I have no words to describe how excited I am to learn more and use the skills I’ve acquired over the past years. I came all the way from Colombia but I have completely fallen in love with Australia and everything it has to offer.Therefore, I couldn’t be more honoured to contribute and promote the importance of making good journalism across this beautiful nation and around the world. For the full program, download the PDF here. Jordan follows family tradition into ethnic radio at 6EBA World Radio. Jordan Fritz is our latest eChamp for the upcoming NEMBC Conference in Perth. Jordan is an arts graduate with majors in Sound and Radio from Murdoch University. His passion for community radio is part of a family tradition. His Grandma, or Oma, as he’d call her, was the host of the German program at the Perth based station 6EBA – 95FM. Jordan has since become the Youth Coordinator at 6EBA and panel operator for the German program. Jordan has a passion for music, film, radio and being active in with community based projects and events. 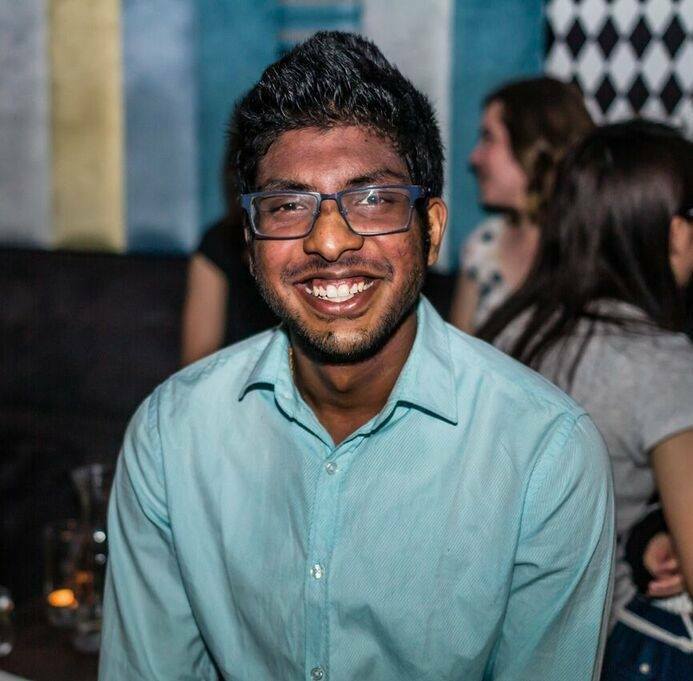 Raagavan (Harry) Sivapalan, NEMBC’s latest eChamp, has been an active youth radio broadcaster at Canberra Multicultural Services for over six years. He began in 2012 as a host for the Tamil Youth program. Harry co-founded Multicultural Youth & Connections in 2016, which is a youth organisation promoting multiculturalism in ACT. “I am very excited to be on board as an e-Champ for this year’s NEMBC Conference, and I want to share my passion for radio and experience the Conference from a different perspective,” said Harry. As a student of ANU, Harry has interacted with diverse students through societies and clubs, and wants to harness that experience to train others as an eChamp, at this year’s NEMB Conference. A perfect time to get thirsty for social media skills. Young and emerging broadcasters at the Conference can learn new reporting skills and styles by working with inspiring multicultural broadcasters from across Australia. eChamps will deliver free training to broadcasters in online media which will add depth and reach to radio broadcasting. 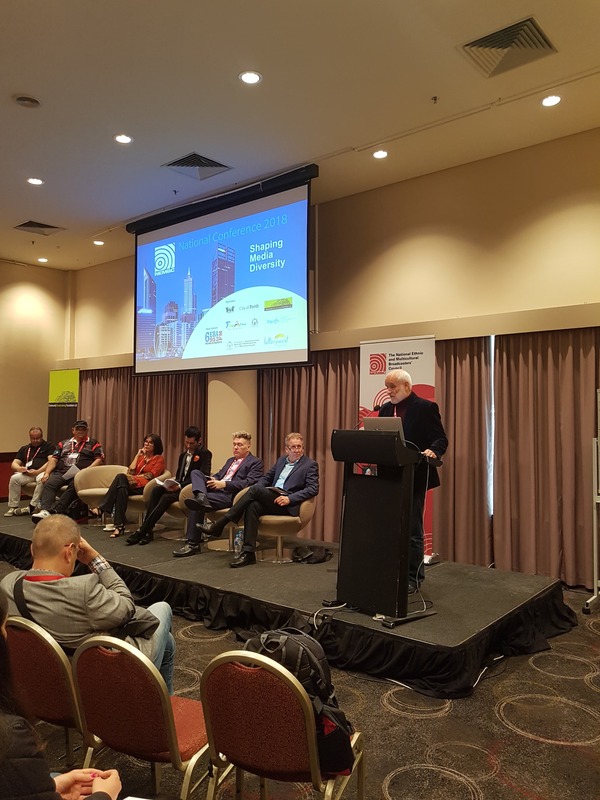 Greater skills in social and digital media tools will assist the sustainability of independent broadcasters across Australia. eChamps make the NEMBC Media Conference go live on a suite of social media, as well as blogging and live video. Up to ten positions are available at each conference period. These positions are given to young and emerging multicultural broadcasters. Edgar has been an eChamps trainer since 2013. He is a trainer at Melbourne’s leading ethnic community station 3ZZZ. He coordinates the training of eChamps through training days and Skype sessions. eChamps skills in social media, effective reporting styles tailored to different media and creating digital content for social media. Edgar holds a diploma in Mass Communications and a Cert IV in Training and Education. 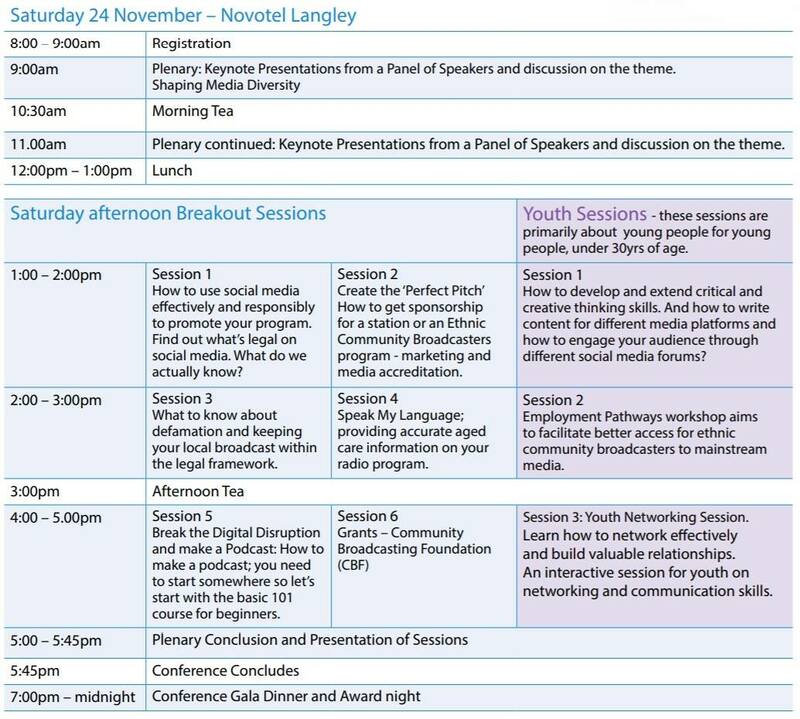 Jake is an eChamp began at the NEMBC Youth Media Conference and Main Conference. He has been a keen team member and trainer eChamps in social and digital media reporting since 2017. The technical requirements for this project are simple, a working venue Wi-Fi, which we have, and laptops, we have a few so if you don’t have one let us know. NEMBC Media can provide some laptops and working venue Wi-Fi for this project.